Mt. Kamon is the highest peak of the Lake Haruna area and a challenging hike with scenic views of Mt. Asama and the mountains surrounding the Kanto Plain. The hike: When you arrive at the lake, it is important to get your bearings first. Directly across the lake is Haruna-fuji, the conical volcano which looks like a miniature version of Mt. Fuji. To the left of that peak, you’ll see a pointy knob called Mt. Eboshi. If you continue in a counterclockwise fashion around the lake, you’ll see a large gaudy hotel with an orange roof, and another hotel behind with a green roof. Directly behind those buildings lies your target peak of Mt. Kamon. Walk along the main road past the souvenir shops towards the orange-roofed hotel. Just beyond the hotel, the main road forks. Don’t take the right fork towards the lake. Instead, continue on the left fork which leads to the entrance of Haruna Agatsumaso (the hotel with the green roof). You’ll find the trailhead directly past the sloped driveway entrance to the hotel. There’s a white sign on the white railing that says 掃部ヶ岳登山口。Walk up the concrete ramp and enter the forest. The path is really easy to find, meandering through the forest for about 10 minutes until reaching the ridge line. Here you’ll find a junction. Turn right here and climb for 5-minutes until reaching a rock formation called Suzuri Iwa (硯岩). The cliffs here afford jaw-dropping views of the lake below. Even though it’s still early in the hike, a break here is highly recommended to soak up the scenery. If you’re staying at Agatsumaso (also highly recommended), then you can easily hike up here to watch the sunrise before eating breakfast. After checking out the views, retrace your steps back to the junction and continue on the ridge towards your target peak. The route is covered with wooden logs built as steps to help aid your climb. It feels a bit more like a stair climb than a hike in parts, and after 30 minutes or so you’ll reach the top of the stairs which marks the beginning of the summit plateau. This is distinguished by a signpost that says 掃部ヶ岳 0.2km. Remember this landmark on your descent, as it marks the junction of an alternative way off the mountain. Anyway, from here the trail becomes a series of ups-and-downs for the next 10 minutes until you reach the summit of Mt. Kamon. Take a well-deserved break here and admire the views. On a clear day you can see the skyscrapers of Tokyo, as well as all of the mountains of Chichibu, Mt. Myogi, and even the top of Mt. Fuji. Mt. Asama is also visible if you stand on the rocks on the top. Through the trees behind you, you should be able to spot Mt. Kusatsu-shirane, Mt. Naeba, and Mt. Tanigawa. In the winter it will be one continuous string of brilliant snow-capped peaks. Once you’ve had enough of the views, retrace your steps back to the start of the stairs and the 0.2km signpost. There’s also another option to continue along the ridge for a couple of hours to Mt. Sumon (杏ヶ岳), but beware that the trail is incredibly overgrown and difficult to navigate. Once back at the junction, you’ll see a faint trail leading down the other side of the mountain (just to the right of the signpost). Although the path is overgrown, it is somewhat easy to follow if you just keep your eyes out for the tape on the trees. You’ll find yourself swimming through waist-deep bamboo grass most of the way. About halfway down, the grass mysteriously ends at a rock formation. If you look to the right you’ll see some ropes which will be of some assistance to getting you past this tricky section. After this, the trail enters thick bamboo grass once again until reaching a steep forested area with a lot of fallen foliage. Continue descending through the woods, being careful not to slip on the volcanic mud if there’s been any precipitation recently. The path will eventually spit you out in a small park, with a small amphitheater and a monument to an old folk song written about Lake Haruna. From here the park connects with the main road, and you can retrace your steps back to the bus stop. When to go: This hike can be done year round, but you’ll need some 6-point crampons if hiking in January or February. Winter is the best time to see the mountains of Niigata Prefecture covered with snow, as the lack of foliage improves visibility from the forest-covered summit and the clear air means Mt. Fuji will likely be visible on the horizon. Access: From Takasaki station, take a bus bound for Harunako (榛名湖) and get off at the final stop. The bus leaves from bus stop #2 of the west exit of the station. Go out the ticket gates, turn right (past the tourist information center). Once outside, walk across the pedestrian bridge and down the stairs to bus stop #2. Buses depart hourly for the 90-minute journey to the lake, stopping halfway at the Gunma bus garage for a 10-minute toilet break. Click here for the bus schedule. Surrounded by serene broadleaf forests, Mt. Taishaku is a secluded peak in western Kobe city with wonderful views of Awaji Island and the Inland Sea. Even on weekends, you’ll find the lack of people a nice change from the hoards of hikers on neighboring Mt. Rokko. The hike: If you need to use the toilet, then go in the large brown building next to the bus stop, since there are no other toilets on the entire hike. From the bus stop, walk away from the main road and into the small village past the cigarette and udon shop. After 50 meters, you’ll see a large thatched farmhouse on your left. Next to the farmhouse there’s a house with a giant tanuki statue outside. The 600-year old house is an Important Cultural Property and well worth the 300 yen admission price. After checking out the house, take the road that runs perpendicular to the house until you reach the river. Turn right and then left, crossing the concrete bridge over the river. Turn right when you reach the other side and you’ll see a large concrete building with large letters in katakana that read サイクリングターミナル on the roof. The trail starts just to the left of this building and is easy to miss since the signpost is small. Walk to the front of the metal gate that marks the entrance to the building and take the road on your left. You’ll see the trail near the rear of the building with a small sign that reads 丹生山登山口. The path dives into the woods and skirts past a small pond before winding up towards the ridge. The route is easy to follow and not too difficult, with views opening up the higher you get. After 20 minutes you’ll reach a false ridge and the trail will flatten out a bit before starting a longer, steeper climb. Your next landmark will be a small graveyard on the left side of the trail, marked with old stone graves and a couple of jizo statues. After another 10 minutes of climbing you’ll reach the ridge line and a junction for the main trail to Mt Tanjo (丹生山). Turn left when you hit this junction and you’ll reach the shrine in about 5 minutes. The shrine is built on top of the ruins of an old castle, and you can still see the castle walls as you make your way to the top. Before you cross under the shrine gate (torii) look to your right and you’ll see a trail that heads into the forest. This is the trail that you want to take, so retrace your steps after checking out the adjacent shrine. The views are pretty nice just to the left of the highest shrine building and there’s a giant maple tree one level below that is absolutely stunning in the autumn. The giant tree has a sister located next to the shrine gate and both trees are a must-see when the leaves change color. Once you’re back at the shrine torii, take the path that runs perpendicular to the gate that is marked as シビレ山・帝釈山. The route follows a concrete forest road to a saddle and then climbs up the other side of the ridge. Head towards the right, being careful not to take the path that heads straight ahead. There’s a small, handwritten brown sign that reads 帝釈山縦走路. There’s a bit of a gentle up-and-down for the next several minutes until the path takes a sudden dip and a sharp left. Be careful not to miss this turnoff, since it’s not well-marked. Your momentum will likely carry you forward on the wrong path if you’re not careful. When you hit the dip, bank hard towards the left, following the sign that reads 太陽と緑の道. Once past this tricky point, it’s a straightforward, gradual climb up to the summit of Mt. Taishaku, where you’ll have views out to the south towards Awaji Island and the Inland Sea. Unfortunately, the tree cover means you won’t be able to see Mt. Rokko or Kobe city unless it’s the dead of winter and the leaves are gone. The summit is marked by several small stone shrines and makes a pleasant place to kick back and enjoy your lunch. After a modest break, continue on the trail away from the direction you came. The path drops rather steeply and then banks hard to the left. There’s a trail straight ahead marked with blue tape, but ignore this and continue descending for about 5 minutes until the path flattens out and you reach a large junction. The path continues towards your left, but you’ll find a poorly marked trail on your right that looks a bit like an old road. It is marked by a small white metal sign with red Chinese characters that read 歩. Next to this sign you’ll see a tree with a red smiley face painted on it, topped off by yellow tape. This is your landmark, so turn here and descend into the forest. The route follows a dry creek bed that is covered with dried leaves and is incredibly rocky and steep. If there’s any place where you’re likely to turn an ankle it’s here, so descend with caution. After 20 minutes or so you’ll see a cave on your right in a flat area. There’s an unmarked trail that leads off to your right at this point. This area used to be a coal mine, and if you climb this unmarked trail for a few minutes, you’ll see one of the old mine shafts. The mine is big enough to enter, but you’ll need a flashlight and you should watch out for wild boar, who probably live in the old caves (I advise against entering the mine shaft without proper spelunking experience). After checking out the cave, retrace your steps and continue descending down the valley. You’ll soon reach a small river. Cross the river and follow the overgrown path on the other side. In another 5 minutes you’ll reach an unmarked forest road. Instead of taking this road to the left and down towards the river, head straight ahead and follow the road as it climbs gently up to a mountain pass and then flat for about 15 minutes until connecting with another road. When you hit this next road, turn left and go past a couple of abandoned vehicles on the left side of the road. You’ll soon reach yet another junction, so turn left here and follow the handwritten sign that says 丹生会館. It should take another 20 minutes of descending on a route dotted with old stone markers to reach the village below. You know you’re getting close when you enter a bamboo thicket. Once you hit the road, turn right and follow it straight past some persimmon trees and rice fields until reaching the main road. You’ll see the bus stop on your left, and you can take the bus back to Minotani station. All in all it should take about 4 hours or so to complete the loop, depending on how many breaks you take. When to go: Autumn is by far the best season to do this hike, as the mountain comes alive with brilliant hues of yellow. The shrine on the peak is home to two giant mountain maple trees whose leaves change from green to yellow to red. It has to be seen to be believed. Summer is hot and sticky, with heaps of mosquitos. Access: From Umeda station in Osaka, take an express train on the Hankyu line bound for Shinkaichi (新開地) and get off at Shinkaichi. From there, change to the Kobe Dentetsu Line and take a train bound for either Sanda (三田) or Arima Onsen (有馬温泉) and get off at Minotani (箕谷) station. You might find it faster to take an express train to Suzurandai first and then change to the local, since Minotani is only 3 stops further on. There’s also a direct bus from Sannomiya to Minotani, so take your pick of public transport. From Minotani station, go out the ticket gates, and walk downhill for a couple of minutes to the bus roundabout. From there, take bus #111 bound for Tsukihara (衝原) and get off at the last stop. There’s one bus an hour, so try to line up the train and bus schedule so you don’t have to sit around waiting long. Click here for the bus schedule. 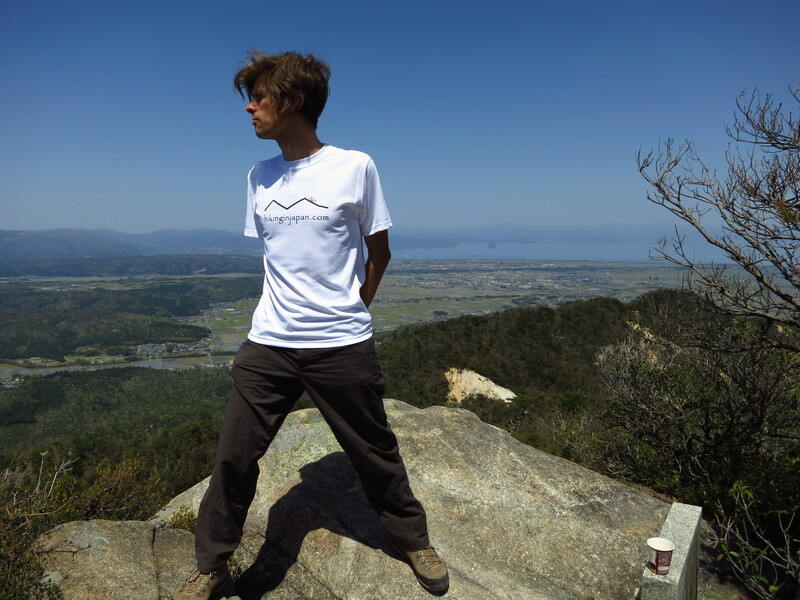 Sitting on the edge of the Chugoku mountain range in northern Shimane Prefecture, Mt. Sanbe is a glorious collection of 4 rounded conical peaks surrounding a large ancient volcanic caldera. It makes for a wonderful alternative to the more popular destination of Mt. Daisen to the east. Options: There are no shortage of routes up the mountain. The quickest approach is via the northern face, starting at 青少年の家. From here it’s a 2-hour hike directly to the summit. Another option is to start at Sanbe Onsen and climb via Ko-Sanbe (子三瓶山). This route is tough and challenging, taking anywhere from 3 to 5 hours to reach the summit. The other option is to approach from the south via J0-Sanbe (女三瓶) and the ski resort. This is the most developed part of the mountain, with the top of Jo-Sanbe covered with antenna. Avoid this part of Sanbe unless you want to be disappointed. The other approach is from the west, and this route is described below. The hike: There’s a restaurant at the bus stop that sells noodles and other food. It’s a good place to kill some time if the weather is bad or to fill your tummy after the long train and bus ride. There’s no official water source here, but I’m sure you can ask them to fill up your water bottles there. There’s also a supermarket a block from Oda station, so you can buy water and other food there. Anyway, cross the main road and enter the vast meadow that spreads out towards Mt. Sanbe. You’ll see two peaks hovering above. The right peak is Ko-Sanbe (小三瓶), the child, while the peak on the left is Dan-Sanbe (男三瓶), the father. In the autumn, this meadow is filled with beautiful pampas grass (susuki in Japanese). Follow the plowed path towards the mountain until it enters the forest, where you’ll soon reach a junction. You have two choices here, but the path on the right is much more challenging and takes longer. My advice is to take this path on the descent, making the hike a wonderful loop. At the junction, turn left and follow the sign that says 男三瓶山９０分. The trail climbs steadily through the forest for about 30 minutes until reaching the first of many switchbacks. Just like all volcanoes, the route steepens the closer it gets to the top, with the views opening up above the tree line towards the west. It should take an hour or so to the edge of the treeline, where the path becomes much rockier and steeper. Keep pushing on for about 10 more minutes and you’ll reach the top of the first false peak. From here the path flattens out, traversing over a series of rolling hills until reaching the summit. Again in the autumn this area is covered in pampas grass. It should take about 2 hours or so from the bus stop to the summit of Mt. Sanbe, where you have several options. The shortest way off the mountain is to the north, which is marked by a path that reads 姫逃コース下山口. From here it’s an hour to the bus stop and a Sanbe Burger! The best option would be to stay in the free mountain hut in a saddle just below the high point, where you can catch the sunrise and sunset. There’s no toilet or water source, so you’ll need to bring a sleeping bag, food, and plenty of water. The hut is new and really clean, with two floors of sleeping space. If you’re just up for the day, however, then head down the stairs away from the direction of the mountain hut, following the sign that says 西の原85分. At the bottom of the stairs turn left, following the summit plateau towards the southwest before dropping off the southern face of the peak. The path is steep and incredibly slippery in wet weather. You’ll see the summit of the child peak directly in front of you, and it should take about 30 minutes of tough descending to reach the saddle between the two peaks. Here you’ll reach a junction, where a decision will have to be made. If you want to get off the mountain quickly, then turn right and descend back to Sada-n0-matsu bus stop in about 30 minutes. If you want a hot bath, then continue on the ridge another 30 minutes or so to the summit of Ko-Sanbe, and then down the other side to Kei-Sanbe (系三瓶) and then down to Sanbe Onsen. Another option would be to head left at the junction to check out the caldera lake called Muro-no-uchi (室の内池). After reaching the lake, turn right and climb up to Kei-Sanbe and then a left down to the onsen. With so many options, you could easily spend a couple of days exploring the different peaks and paths. The path from the ridge junction back to Sada-no-matsu bus stop is easy, through a bit of cedar forest before crossing over a concrete dam. A short distance after the dam the trail meets back up with the original junction that you saw just after you entered the forest. From here, turn left and retrace your steps back to the bus stop. When to go: This hike can be done anytime from late April to late November, when the snow is gone. A winter hike is also possible if you’ve got winter hiking experience and equipment. November is the most scenic time, with fields of pampas grass and stunning fall colors. If you want to avoid the crowds, then head mid-week and you’ll probably have the entire mountain to yourself. Access: Since it’s a long way from anywhere, it’s almost impossible to do this as a day hike if coming from Osaka. Plan on staying overnight in either Oda city, Sanbe hot spring, or at the emergency hut on the summit. From Okayama (岡山) station, take the JR Yakumo limited express train bound for Izumoshi (出雲市) and get off at the last stop. At Izumo, change to a local train on the San-in line (head towards Hamada and not back to Matsue) and get off at Odashi (大田市) station. You can also take a limited express train from Izumo but it will cost you more. The connections are usually timed, so take whatever train is waiting on the other platform. The connections are sometimes tight, so run if you have to because trains are few and far between. From Odashi, take a bus either bound for Sanbe Onsen (三瓶温泉) or Seishounenkouryuu-no-ie (青少年交流の家) and get off at Sada-n0-matsu (定の松) bus stop. There are only 3 buses in the morning, so plan your trip accordingly. Click here for the bus schedule. It takes close to 5 hours from Okayama station to the trailhead. Myojin is another incredibly popular but enjoyable walk in Kamikochi valley. You’ll have wonderful mirror reflections in a pair of idyllic ponds sitting in a tranquil forest. The hike: From the bus terminal, turn left (past the restrooms) until you reach the river, where you’ll turn right. Walk past Kappabashi bridge (the long suspension bridge that everyon and their child line up to have their picture taken beside). Don’t cross the bridge, but stay on this side of the river. The path will cross a small concrete bridge before entering Onashidaira (小梨平) campsite. Follow the broad path (it’s actually a forest road) through the campsite and the neighboring forest. The trail will climb gradually for a couple of kilometers until arriving at Myojin (明神) junction. There’s a mountain hut here where you can stay. You’ll see a sign pointed towards the left that says 明神池０．６ｋｍ. Turn left here and cross the suspension bridge across the river. After crossing, turn left and follow the river for a short distance, where you’ll see a sign pointing to the right that reads “Pond Myoujinike”. Turn right here, follow the gravel path, and pass under the wooden shrine gate. You’ll see an old mountain hut on your left called Kamonji-goya. It’s a really popular place for lunch and it’s also a hut that Walter Weston stayed in when he made his historic visits to Kamikochi. Just past the hut you’ll see a small shrine and the entrance to Myojin Pond. Unfortunately, there’s a 300 yen entrance fee to enter the pond. If the clouds are in you can give it a miss, but you should definitely spend some time looking around if the skies are clear, as the reflections are stunning. The best time to visit is in the early morning when the lighting on Mt. Myojin is best. After visiting, retrace your steps back to the river and turn right, following the signs to Kappabashi. The path is wonderful on this side of the river, with wooden walkways and a lot more up-and-downs than the campground side of the river. At one point the path will meet up with a paved forest road, but you’ll soon dip back down in the forest. Your next landmark will be the turnoff for Dakesawa (岳沢), another place well worth visiting if you’ve got the time. It’s a steep 2-hour hike to reach the mountain hut up there, which sits near the edge of the tree line and has incredible views of Kamikochi valley. Anyway, ignore this turnoff and enjoy the wonderful color of the stream feeding into a majestic pond. Follow the wooden walkway for about a minute and you’ll reach a lookout area over the pond. This is an excellent place to hone those photography skills. Afternoon light is best here, and as it’s not too far from Kappabashi bridge, you can always come back here to visit later in the day if you’d like. Stay on the main trail and you’ll reach Kappabashi in about 20 minutes or so, depending on your speed. Just before reaching the bridge you’ll come across a large hotel, and the views of Mt. Hotaka from the river’s edge here are better than the views from the bridge itself, and much less crowded. If the weather is good there’ll probably be a few people doing some oil paintings from here. After reaching Kappabashi bridge, you can continue walking downstream and do the Taisho-ike hike (breaking up this walk by stopping for the minestrone lunch at Kamikochi Alpen Hotel during weekdays only). Another alternative is to head to Kamikochi Onsen hotel for a hot spring bath (open between 12:30 and 3pm). When to go: This hike can be done anytime from late April to mid-November, when the road to Kamikochi is open. Avoid the weekends if you don’t want to share the trail with half of Tokyo. Also, this walk is best done in the morning, when the Mt. Myojin reflections are most striking. Access: From Matsumoto (松本) station, take a train on the Matsumoto Denki Railway bound for Shin-shimashima (新島々) and get off at the last stop. The train leaves from the JR tracks, so enter the ticket gates and follow the signs. From Shin-shimashima you can transfer to a direct bus bound for Kamikochi. Click here for the schedule. You can also take a direct overnight bus from Osaka or Tokyo, as well as a bus from Takayama, but you’ll need to transfer at Hirayu Onsen. Private cars are not allowed in Kamikochi, so if coming by car then park at Sawando and transfer to a shuttle bus from there. Taisho pond is the most popular walk in Kamikochi and rightfully so. The mirror-like reflections of Mt. Yake and the Japan Alps are incredible in good weather. You may also have a chance of spotting a black bear in the unspoiled forests surrounding the lake. The hike: From the bus terminal, turn left (past the restrooms) until you reach the river, where you’ll make another left. Follow the river for about 15 minutes until reaching a paved road. Cross over the road and follow the sign that says “Nature Trail” (自然研究路入口). The path will enter the forest before reaching a junction. You can take either course since they both meet up after 10 minutes or so. My advice would be to take the right fork that follows the Azusa River (梓川コース) and on the return take the forest path (林間コース). The forest path is your best chance of catching a black bear in the wild, so keep your eyes peeled, especially in the early morning or late evening. Anyway, after the paths converge you’ll reach another junction with a sign pointing towards Tashiro-ike (田代池). Take this side trail for 100 meters or so and you’ll reach the tranquil shores of the small, scenic lake. There are no reflections in this lake, but the yellow fields are serene. Retrace your steps back to the junction and turn left, following the signs towards Taisho pond. After crossing a wooden bridge you’ll reach a broad area with a lot of rocks. You can scramble down to the lake shore here if you like, or continue on the path to the base of the hotel, where the reflections are much better (and the crowds will regrettably be much larger). There’s a restroom on the other side of the hotel, as well as a bus stop if you want to take the lazy way back to Kamikochi. After admiring the views, retrace your steps all the way back to where you crossed the paved road, but instead of continuing straight towards the bus terminal, turn left and cross over Tashiro bridge (田代橋) and Hotaka bridge (穂高橋). Turn right on the path that follows the river (on the river bank opposite the bus terminal). This path will take you past the Walter Weston monument before passing by a couple of hotels. Look for the sign for Kamikochi Onsen Hotel (上高地温泉ホテル), where you’ll find a free foot bath. For 800 yen, you can also enter the hot spring baths here (highly recommended), but be careful of the time. The bath is only open between 7 and 9am, and 12:30 to 3pm. If you’ve missed the morning window then you can grab some lunch and come back for the afternoon session. The cheapest and tastiest lunch is at Kamikochi Alpen Hotel (上高地アルペンホテル), which has a great minestrone lunch for only 500 yen (weekdays only). For an additional 100 yen you can have hot coffee as well. If there’s still time in the day and you still have the energy, you can also do the Myojin Pond hike, but remember that the reflections for Myojin are best in the early morning light and you’ll have to pay 300 yen to enter the shoreline. When to go: This hike can be done anytime from late April to mid-November, when the road to Kamikochi is open. Avoid the weekends if you don’t want to share the trail with half of Tokyo. Also, this walk is best done in the morning, when the Mt. Yake reflections are most striking. Mt. Takatori is the site of Japan’s oldest mountaintop castle, and the hike takes you up, around, and through the ruins of the castle walls, with views of both the Yamato plain and the Omine mountain range. It makes for a great half-day excursion from Osaka or Nara cities. The hike: From Tsubosakayama station, exit the ticket gate and take the road running perpendicular to the station. Cross over the busy two-lane road, walk about 100 meters or so, and then turn right on the stone paved street running through the center of town. You’ll see a wooden signpost that says 高取城跡 5.0km. The next 20 minutes or so is a pleasant walk through a traditional Edo-era town that is surprisingly devoid of tourists. If this town were in Kyoto there would be thousands of tourists, so appreciate the beauty of the old buildings and lack of people. You’ll find a lot of distractions while marching up the main street, including some paper-mache cows on a side road on the right, followed by another brilliant display of elegantly dressed dragons on your left. Continue heading straight on the road out of town, as it starts to narrow and follow a river. A little further on, you’ll see a brown sign in white letters that says 俳人·阿波野青畝生家 150m pointing straight ahead. The road turns a bend before reaching a traditional bark-thatched structure housing a waterwheel. It’s worth crossing the stream and walking down to the rustic structure before heading up the paved road towards the trailhead. After passing by a public restroom on your left (your first and only chance to use the facilities), the road will turn into a hiking path and enter the forest. A few minutes on you’ll reach a junction with a sign pointing towards Sousenji (宗泉寺) Temple on your right. There are 88 different jizo statues scattered on the hillside behind the temple, and watch out for that vicious dog tied to the rope just to the right of the main temple gate. Anyway, after a quick look around, retrace your steps back to the junction and continue on the path that leaves the forest road and starts climbing up towards the ridge. Follow the signs that point towards Takatori-Shiroato (高取城跡) as the route follows a small stream and zigzags through the quiet woods. After 20 minutes of hiking you’ll reach a junction with a sign pointing towards 岩屋不動 on your right. You can visit this as a quick side trip if you’d like or continue on towards the summit. I didn’t bother checking it out, so please let me know if it’s interesting if you choose to explore it. Your next landmark will be a trail on your left marked by a stone monkey statue. This path apparently leads down to Asuka, one of the ancient burial centers of the Nara era. Ignore this trail and continue as the path starts to follow the ridge. After passing by a small lake on your left (which is just off the trail), you’ll soon see some signposts marking the foundations of some old castle gates. The castle complex was massive, taking up most of the mounainside when it was originally built. Your next landmark will be a path on your right marked for Kumini-Yagura (国見櫓), the remnants of an old watchtower. You should definitely take this trail as a sidetrip, since the views over the Yamato plain are second-to-none. It’s also a good place to take a break, since there are some moss-covered wooden logs to sit on. It should only take about 5 minutes to reach the lookout point. After admiring the scenery, retrace your steps back to the junction and turn right, following the signs towards the main castle area (本丸). A few hundred meters on, you’ll reach yet another junction marked for Hachiman-Guchi (八幡口), but ignore this trail for now and head to the 本丸. Once you reach the castle walls, keep climbing up until you can climb no more. On the far side of the highest castle area there is a lookout to the north, where you can see the Omine mountain range on a clear day. Take a rest here, as you’re at the highest point in the hike. Once you’ve regained your strength, backtrack to the Hachiman-Guchi junction and turn left down a set of wooden steps towards a forest road. Once your reach the road, follow the signs towards Hachiman Jinja (八幡神社), which climbs a series of steep log steps through the trees. If you’re tired of climbing, you can ignore this path and continue on the trail that bypasses this shrine to your immediate right. Either way both paths will meet up a short time later. The shrine is interesting as far as small secluded mountain shrines go, and there’s a small view of the valley below behind the shrine. Descend down the steep unmarked path in front of the shrine, which will soon meet up with the main path. Turn left here and keep following the signs towards Tsubosaka Temple (壺坂寺). You’ll cross the forest road a couple of times, but as long as you keep following the signage you’ll be ok. At one point you’ll reach a junction with 2 different signs pointing towards 壺坂寺. This is an important junction because if you go left then you’ll miss all of the good stuff. Take the path marked 五百羅漢遊歩道を経て壺坂寺, which, after a short climb, will start to descend through the dense forest. Be on the lookout for rock formations with Arhat statues carved into them. There are hundreds of ancient stone statues carved into the hillside. Some of them are easy to miss, so look for the white signboards with Chinese characters on them. Eventually you’ll loop around and meet up with the main path, which turns towards the right and descends to the paved road. Walk down the asphalt road for about 15 minutes and you’ll arrive at Tsubosaka temple, which is famous for a 10 meter tall Buddha statue. The temple costs 600 yen to enter, but is well worth a look around. If you don’t have the time or money, then you can continue on the trail that leaves just to the left of the bus stop at the end of the parking lot. This path drops down to a stream and follows it for about 30 minutes until meeting up with the main road back into town. Turn right when you hit the road and meander your way through the back streets towards the station, following the signs for 壺坂山駅. When to go: This hike is most popular in autumn, when the leaves are ablaze with color. Spring is also a good time to check out the mountain cherry blossoms. Avoid the middle of summer during the intense heat, but early summer can be a good time to see wonderful greenery. Access: This is one of the few hikes that is approachable directly from a train station. From Abenobashi (阿部野橋) station in Tennoji, take an express train on the Kintetsu line bound for Yoshino (吉野) and get off at Tsubosakayama (壺阪山) station. The train takes about 45 minutes or so from Osaka. Don’t take a limited express train because you’ll have to pay extra money and it really doesn’t save very much time. Mt. 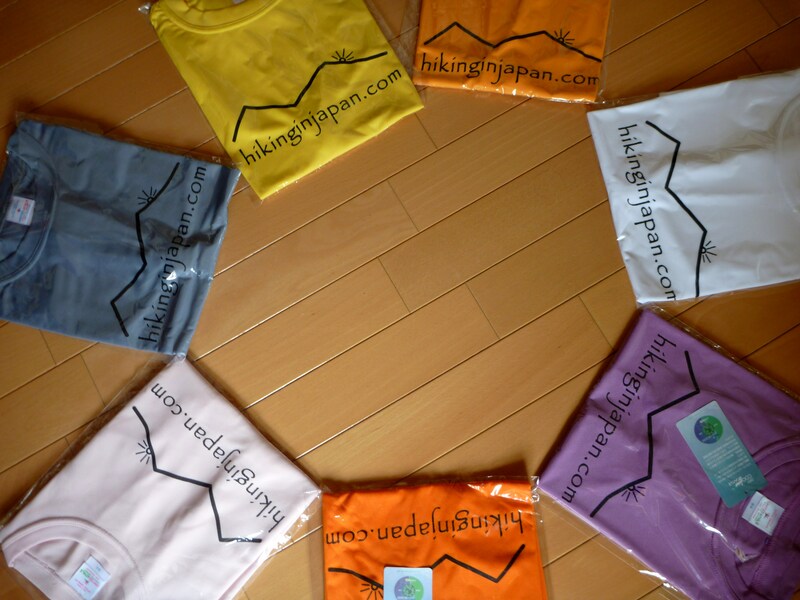 Seppiko is a collection of vertical crags located due north of Himeji city in Hyogo Prefecture. The cliff faces attract rock climbers from all over Japan, while the well-marked hiking path affords breathtaking views into the valley far below. The hike: From the parking lot, head uphill, crossing the river on a metal bridge until reaching a collection of wooden bungalows. There’s a small campground on your left, and a shack on your right housing the caretaker of the facilities. There’s a box here where you can register your hiking intentions, which is an excellent idea if you’re out on your own. On the left side of the road, just adjacent to the bungalows, you’ll see a steep path heading into the forest via some wooden log steps. Take this trail and prepare yourself for a whirlwind of a climb up to the ridge. There’s really no place to go but up, following the switchbacks and fluorescent pink arrows up, over, and around some rock formations. After an hour of so you’ll reach Izumo Rock (出雲岩), an impressive mass of stone that is extremely popular with expert climbers. If you look up the rock face you’ll see countless rows of anchors bolted into the overhanging face. After passing by Izumo, the path becomes much tougher, as you nagivate through rock outcroppings with the assistance of ropes and chains. Your next rock formation is called Seri (せり岩), which has a jaw-dropping view of the southern half of Hyogo prefecture. The path here traverses through a tight gap in the rocks, and if you’re a bit muscular or heavy set, there’s a good chance you could become stuck. Take your day pack off and push it in front of you. This will make things a bit easier. If you can’t fit through this tight squeeze then simply walk over to the lookout point (見晴らしい岩) and head around to your left and you should find a trail that will bypass this rock. Once past Seri, it becomes a series of manageable rock climbs to the summit of Otenshou (大天井岳), the official target peak for the majority of hikers. Take a rest here and admire the views. From here, the trail drops off the back side of the peak, just behind the shrine. At first the going is easy but you’ll soon reach the top of a rock formation, where a chain will drape off the rocks to the right. Instead of taking the chain, head down the faint trail on the left, which is a much easier and safer alternative. Both trails meet up a little lower on the saddle, so take your pick. Once at the saddle, the path climbs and you’ll soon reach a junction, which is labeled with the signpost A-9. If you’re short on time, then take the trail to the right, which descends very steeply to the valley below. Otherwise, turn left here and stay on the ridge, following the sign that reads Shikagatsubo (鹿ヶ壷). The ridge is pretty gentle, especially considering what you’ve just been through. You next landmark will be at signpost B-4, where the trail splits towards 安富町. Instead of turning left here, go right, following the sign that says 三角点雪彦山. You’ll reach the top of the true summit of Mt. Seppiko in about 20 minutes, but there’s no view to speak of. Continue on the ridge, following the sign that says 峰山方面へ and you will arrive at another peak called Mt. Hokotate (鉾立山), which is the tallest peak on of Mt. Seppiko. Though the south is covered by trees, you’ll have an open view to the north, where you can see Mt. Hyonosen on a clear day. Take a breather here, because you’re about to descend very steeply to the valley below. 5 minutes after leaving the summit, you’ll reach a junction labeled B-8, where you should turn right. The path will ramble along the ridge before hanging a sharp turn at the next signpost (B-9), where it zigzags through a cedar forest to a stream far below. This stream will gradually grow in size the further down the gorge you get, and eventually you’ll reach a series of waterfalls (signpost B-13). The path becomes much more rockier, so be careful with your footing, especially if it’s been raining recently. A few minutes on, you’ll reach rainbow waterfall (虹ヶ滝), which is not signposted but makes a good place for a break. Soon after the waterfall you’ll reach a junction labeled A-14, where the trail from Mt. Otensho will come in from the right. This is where the path meets up from signpost A-9 high on the ridge. Ignore this path and drop down to the river, where you’ll need some creative footwork to cross over the river and climb steeply back up to a junction on the opposite bank of the stream. Follow the broad path that is signposted for 賀野神社, which passes through a beautiful section of deciduous forest that will surely be ablaze with color during the autumn. A few minutes on you’ll reach another junction called 大曲 (A-16). Turn right here and descend back to the river that you left earlier. The path can be difficult to pick up, so look for the pink arrows painted on the rocks and follow the faint outline of a path. A forest road used to come all the way up here a long time ago, and the last part of the path will follow the remainder of that road until reaching a huge concrete dam with some incredible pipework. This is what is known as an “open dam”, which was built not to contain the water but to save the valley from rocks and debris during a mudslide. I’m not sure if the dam could withstand an actual landslide, but you have to admit that it was a creative way for Hyogo Prefecture to use all that money from the central government. Anyway, go down the concrete stairs here and you’ll reach a paved road that will take you back to the parking lot where you started. When to go: This hike can easily be done year round, but extra care should be taken in the winter, especially when there is snow on the ground. The rock faces can be incredibly slippery, so it’s best to avoid the place in wet weather. Autumn is probably the most scenic time to visit, but expect huge crowds if coming on a weekend. Access: The bus to the trailhead was discontinued in 2010, so you really need your own transport to complete the hike. The bus, however, does run to within 5km of the start of the hike, so you could always try your luck hitching. From the north exit of Himeji station, take bus #51 bound for Yamanouchi (山之内) and get off at the last stop. There’s one bus at 7:40am, but the next one doesn’t depart until 12:35am, so you can see why having a car will give you a huge advantage. Click here for the Shinki bus website. Maetake is a pointy peak overlooking Kabira bay in the northwestern part of Ishigaki Island. It’s a good chance to see some jungle scenery without much effort and can be combined with a visit to nearby Kabira park. The hike: If coming from Kabira, go past Yon bus stop on the main road and turn right when you see the blue billboard that says 島料理あたん亭 on the left side of the road. You’ll see a paved road with a chain across it just opposite this sign. Park your car or bicycle here, climb over the chain, and walk straight on the road. After about 10 meters you’ll see the ruins of an old building on your right, so keep walking straight and soon the road will start to narrow considerably and turn into a trail. Ignore the paved road on your right just before you enter the forest. After about 5 minutes, you’ll cross a log bridge (basically a tree that’s been cut in half and laid across a small stream). About 10 meters after crossing this log, the path will split, and you’ll see an old wooden sign propped up against an electrical pole. Turn right here and follow the path that goes next to the stream. The trail is easy to follow and crosses the stream a couple of times before climbing up to the ridge. It should take about 25 minutes of relatively easy climbing before reaching the ridge, where the path takes a sharp turn to the left and flattens out. Just where the path turns you’ll see a faint trail on your right which leads to the summit of Maetake. It’s pretty easy to miss, so if you soon arrive at an NHK antenna then you know you’ve gone too far. This narrow, slightly overgrown path climbs straight up the spine towards the summit and is incredibly slippery and muddy in wet weather. After 20 meters the path will appear to split, but if you look up and towards your right you’ll see a medium-sized boulder. Head up to the rock and just beyond you’ll see a rope dangling from a tree. Use this rope to help you climb up to the summit plateau, which is covered with 2-1/2 meter-high bamboo grass. You’ll literally need to swim through this mountain of grass to reach the top, but it’ll only take a few minutes. Once you reach the high point there are a couple of rocks you can stand on to get a view over the undergrowth. You’ll see Kabira peninsula stretched out before you, with Sukuji beach directly below. To your right you can see the rest of Kabira bay, with Mt. Omoto and Mt. Nosoko stretching out beyond. After you have admired the views, retrace your steps back to the junction and continue on the ridge to the NHK antenna. There are some good views between the trees, and the concrete makes a good place to take a break and eat some snacks. If you continue on this trail another 50 meters or so, you’ll reach another building housing a TV antenna. If you walk behind the building you can get great views of Kabira bay, which are unfortunately framed by power lines! All in all it should take anywhere from 30 to 45 minutes to reach the summit, which makes it a great afternoon or late morning hike. When to go: This hike can easily be done year round, but bring plenty of water if hiking in the hot summer. Access: The hike is a 2km walk from Kabira bay. If you’re staying at Iriwa Guesthouse in Kabira, then you can borrow their bicycle to get to the hike. Otherwise, the closest bus stop is called Yon (ヨーン) Buses bound for Kabira stop here, so just tell the driver you want to get off at Yon. Click here for the bus schedule. 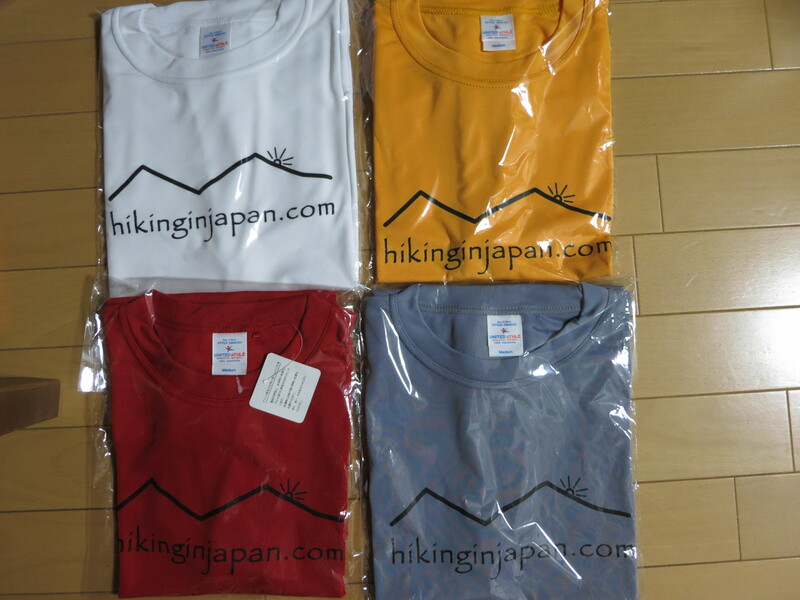 I’m pleased to announce that the official Hiking in Japan hiking shirts are now ready for purchase. The 100% polyester ‘quick dry’ short-sleeved shirts are both light-weight and incredibly comfy considering they’re not made from cotton. They come in a variety of colors and each shirt has been hand-screened by Osaka based silk-screen artist Marlon Rivera. The shirts are being sold for the incredibly reasonable price of 3000 yen (which includes shipping anywhere within Japan). Overseas orders please add 500 yen to cover international shipping. Payment is accepted via either bank transfer (furikomi) or by well-concealed cash. We do things here the old-fashioned way and can’t be bothered with setting up a Paypal account or credit card transactions. Another option is to come to Osaka, meet up for a burrito, and get the shirt directly from me. The sizes are somewhere between US and Japan sizes. The medium shirts will fit a skinny male up to 190cm tall. If you’ve got some muscles, a large size should suffice. Average size females should fit into a medium size quite easily, and if you’re skinny or short, a small size will probably do. If you’re interested, then please send me a message letting me know your color preference and size, and I will send you my bank information.